The marketers complained that access to foreign exchange (forex) for the importation of DPK is marred by irregularities. Two years after the Federal Government removed subsidy on the product, marketers discontinued their participation in the product’s importation amid prevailing demand from households, and largely the aviation sector. Kerosene is being imported and sourced from local refineries by the Nigerian National Petroleum Corporation (NNPC) solely, and sold to marketers at a deregulated ex-depot price of about N190 per litre. But the supply of the product has continued to be epileptic, and characterised by price differentials. Given the rising demand for the product as aviation fuel, some households that depend on the product, pay as high as N350 per litre to get it for domestic use. Responding to queries from The Guardian on the position of marketers, Major Oil Marketers Association of Nigeria (MOMAN), disclosed that marketers are facing challenges in the importation other petroleum products, and not just DPK. MOMAN said: “In the current environment, marketers are facing challenges with respect to importation of all products whether deregulated or not, because of challenges in accessing foreign exchange at competitive rates. “NNPC sells Dual Purpose Kerosene (DPK) to marketers at an ex-depot price of N190 per litre. If marketers were to import the product using their (marketers) importation template, the landing cost would be N225 per litre due to the rate at which we access foreign exchange. 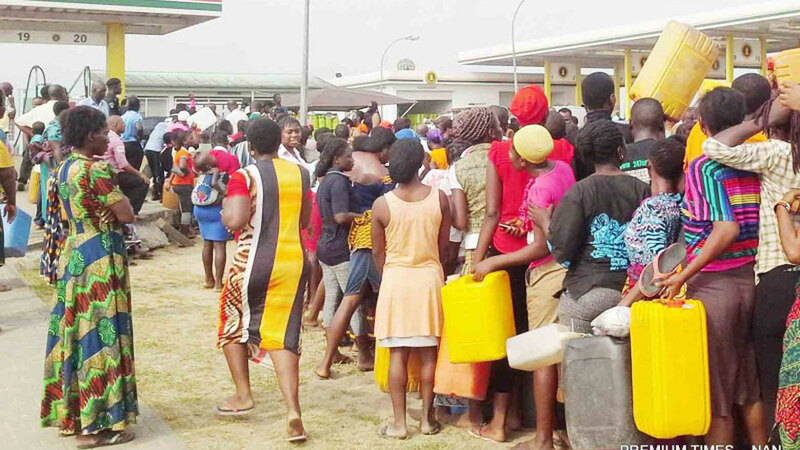 The Independent Petroleum Marketers Association of Nigeria (IPMAN), Depot and Petroleum Products Marketers Association (DAPMAN), and other marketers, said they stayed away from kerosene importation because of outstanding subsidy arrears being owed by the Government. According to the World Bank, over 51 per cent of Nigerians reside in the rural area, and depend on kerosene to cook or light their homes or opt for firewood due to the high cost of the product. While the figure of people cooking with firewood or charcoal rises, the World Health Organisation (WHO), reported that over 470,000 Nigerians have died in the past five years from firewood induced sicknesses. A report published by a Non-Governmental Organisation, Power for All, noted that over 66 per cent of households in Nigeria use kerosene for lighting and cooking, while the Nigerian Bureau of Statistics (NBS), put the proportional use of kerosene by Nigerian households at 22.8 per cent for cooking, and 57.8 per cent for lighting, mostly by the rural and peri-urban poor. Taofeek Lawal, the spokesperson for Nipco Plc, the marketing and distribution joint venture company of IPMAN, in a telephone interview, said although the DPK market is perceived to be deregulated, but realities have shown that it is partially deregulated. Citing the Automotive Gas Oil (AGO) market, which is fully deregulated, he noted if the DPK market was equally deregulated fully, the behaviour of both markets would be similar. On account of deregulation, the DPK market had seen some level of volatility in price and supply templates at the retail end. Some marketers that still receive kerosene stock from NNPC, say compared to Premium Motor Spirit (PMS) and AGO, turnover for DPK had remained the worst, while margins on the product has been discouraging. The National Operations Controller, IPMAN, Mr. Mike Osatuyi, said currently, members of the Association are not importing DPK, but insisted that the DPK market was fully deregulated. According to him, any IPMAN member can bring in DPK after getting the necessary approvals from the Department of Petroleum Resources (DPR), and the Petroleum Products Pricing Regulatory Agency (PPPRA). Osatuyi said, “We will start importing DPK when the coast is clear. By this, I mean when we are through with our internal reorganisation. But I must say the demand for the product is dropping, as people are switching over to Liquefied Petroleum Gas (LPG). When contacted, the Executive Secretary, DAPPMA, Mr. Femi Adewole, declined to comment. But The Guardian gathered from a member of the Association that forex constraint is a major constraint to kerosene importation. The source said members who currently deal on the product, concentrate on the supplying to the aviation sector, adding that the margin from selling the product to households is not attractive, and as such not leveraged by marketers.